It's raining and raining and raining here in Kolkata!! More than half of the city is flooded! The days are so gloomy and drab that I needed my share of fun and colors! And I had both today! I thought of refashioning an old and faded bangle ! 1. 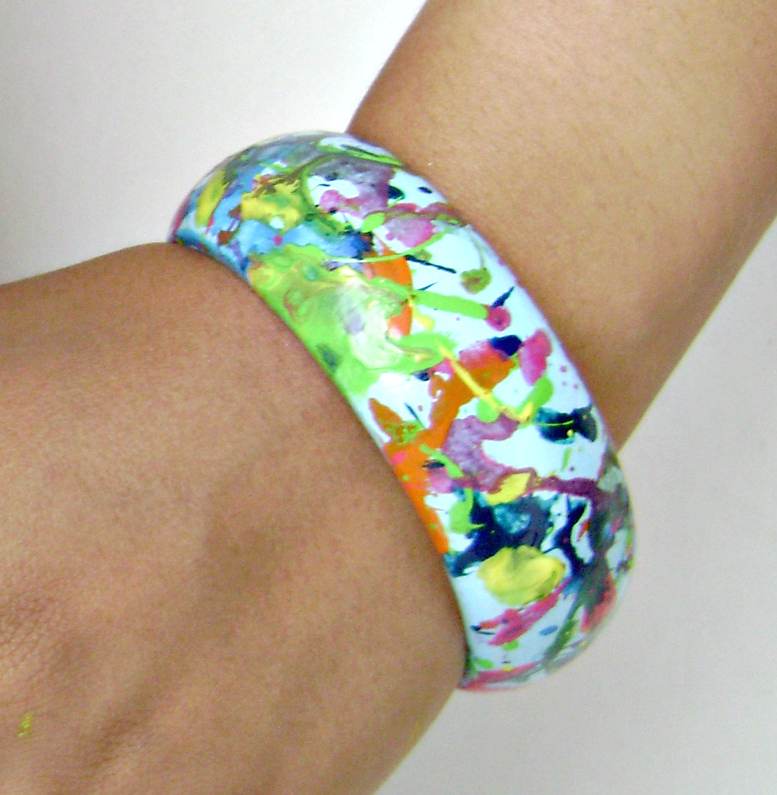 Evenly paint the bangle with a light color as the base , I used a very light blue.Put two coats of the base color. Let this dry for at least half an hour , one hour would be the best ! 2. Start with the darkest color and proceed towards the brighter colors for the effect ! 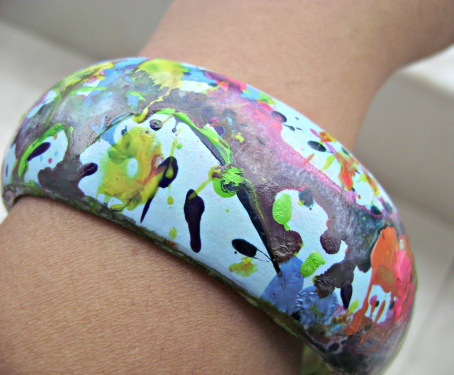 splatter the color on the bangle one at a time ! a)Splatter each color and let that dry for half and hour and then repeat this for every color. letting each color dry for half and hour. you'll have those small marbled effect ! when you are finished let it dry for at least an hour or two. I like this pic ! Be prepared to be covered with a lot of paint ! You can see the roads are submerged ! And the best thing is that each one would be different and unique! I love the way this looks! Had a lot of fun splashing and splattering colors! I was feeling as giddy and childish like a kindergarten kid after I was done splattering! And it sure did brighten my day ! But this sure was a hell for the glitters on the nail art I had ! 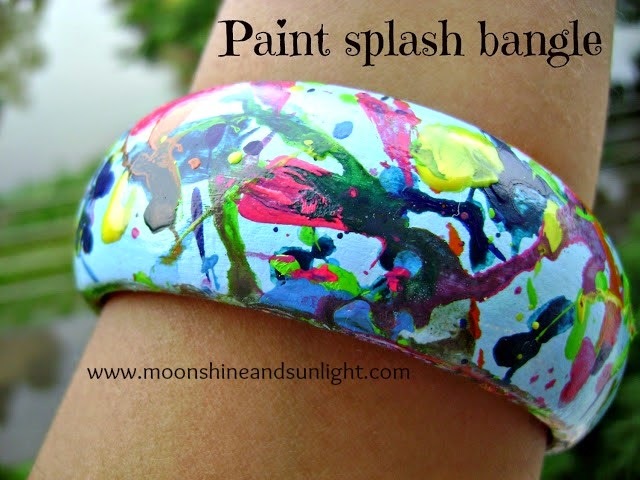 I want to get one of these paint splattered prints! unfortunately I can't find this print anywhere ! I will ! I love to ! From BabsProjects.com: Hello Priyanjana, stopping by from SITS tribe building challenge. I love this bangle project of your. It looks like a fun projects to do and I am kids would enjoy making it too. Do give it a try . Good to know people from my tribe!